Imagine creamy, milky ricotta enhanced with sweet and thick Balsamico vinegar, some fresh basil leaves stirred in and all this spread on grilled slices of aubergine, and you’ll have a combination so smooth and velvety that it melts in your mouth! 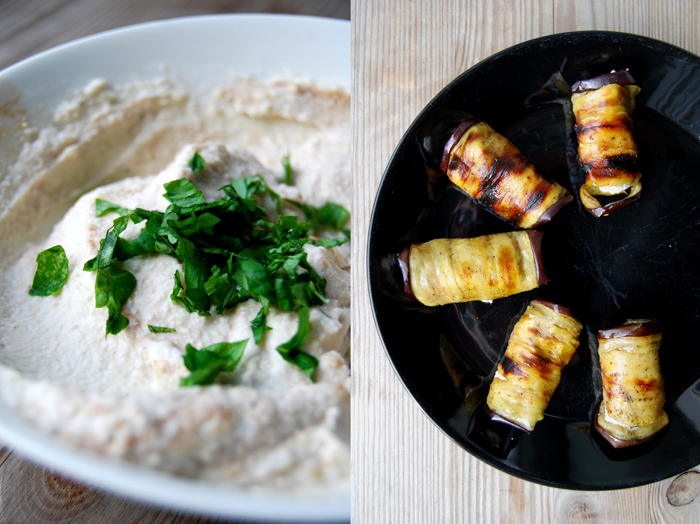 This to me is an absolute perfect match, maybe my favourite way to enjoy aubergine. I like to make this as a starter for a dinner party, it’s easy to prepare and my guests always love it, or as a luscious in between nibble. What’s even better is to roll them for a relaxed dinner on a warm evening, with windows wide open, some ciabatta bread on the table and wine, cheese, thin slices of prosciutto or Mortadella di Bologna. I love it, it feels like a little holiday, for only a few hours but with the same effect as being in a restaurant in Italy. That’s what I love about food, it’s like music, it can put you in a different time, place and mood and it’s all in your hands! Set your oven to grill. 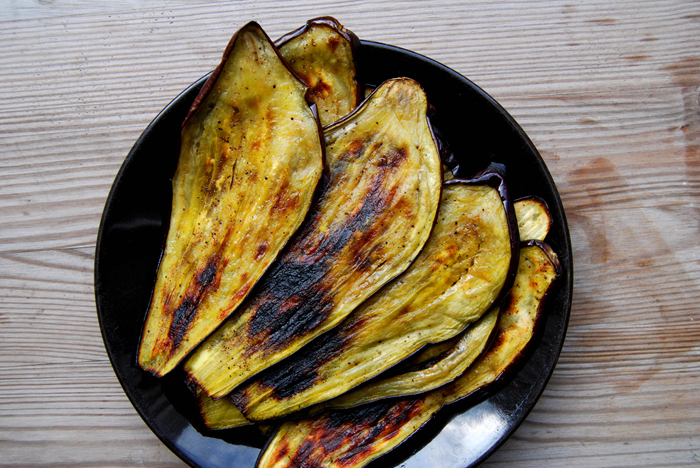 Brush the aubergines with olive oil on both sides and season with salt and pepper. Grill in the oven until golden brown and soft on both sides, they will darken partly but that’s fine. Mine needed 7 minutes on one side and 5 minutes on the other but that depends on the oven. 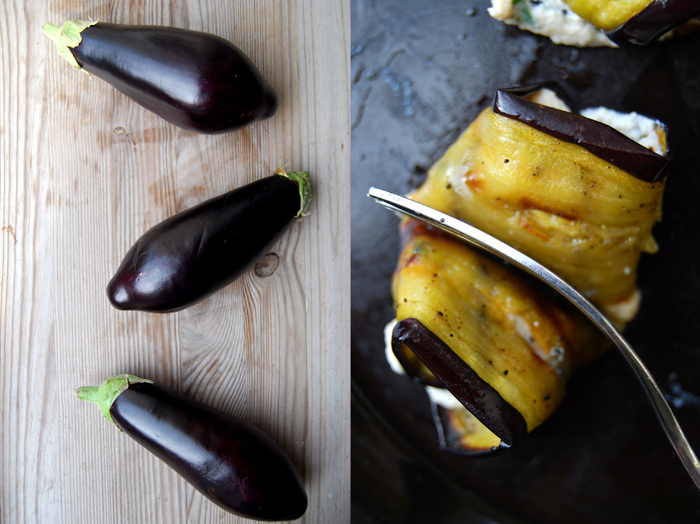 Set the aubergines aside and stack them, that will keep them moist and soft. Whisk the ricotta, cream and Balsamico vinegar, season with salt and pepper to taste and stir in the basil. 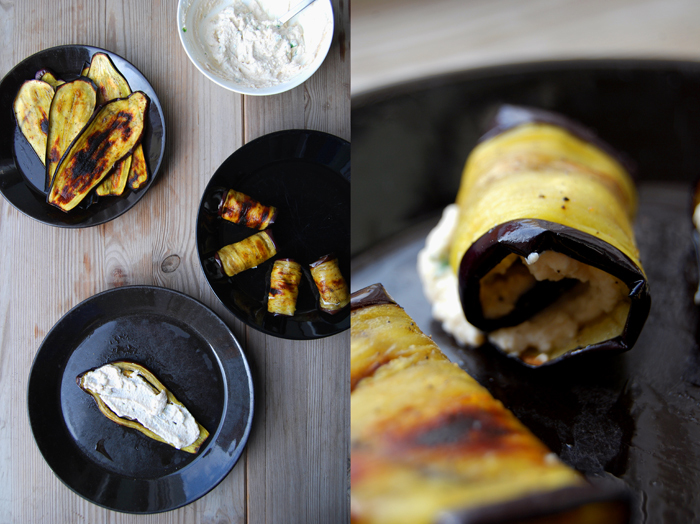 Spread a teaspoon of the ricotta cream on top of each slice of aubergine and roll lengthwise. Thank you 🙂 And happy June! I love these! 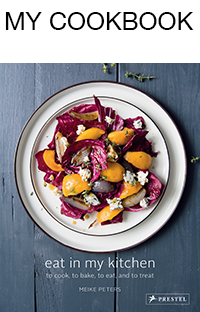 And I love making a version of them at home, with some toasted pine nuts and crumbled salty feta in the mix. Yours look very delicious, also for an easter brunch. 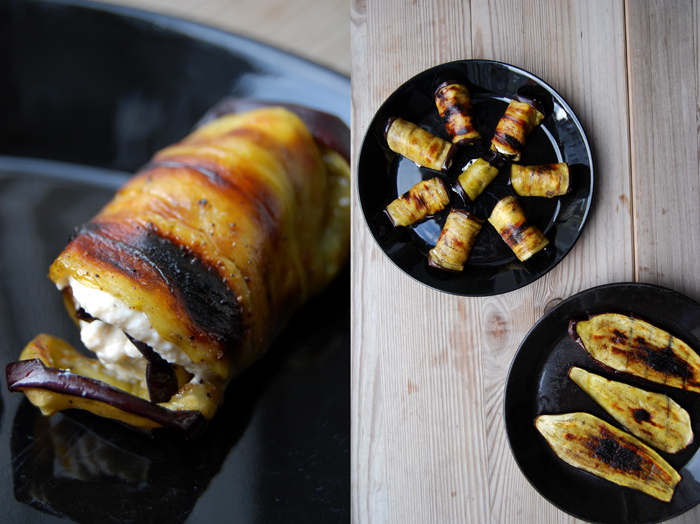 I am betting I could get my husband interested in these roll ups! They look delicious, Meike.